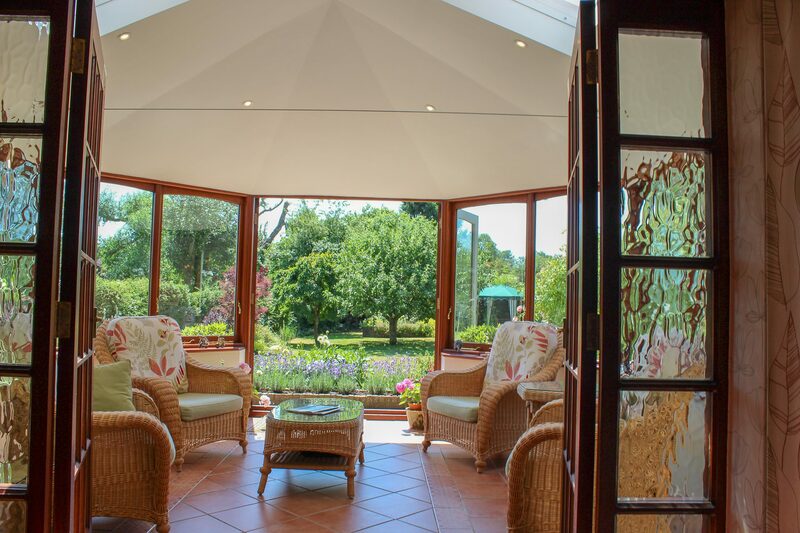 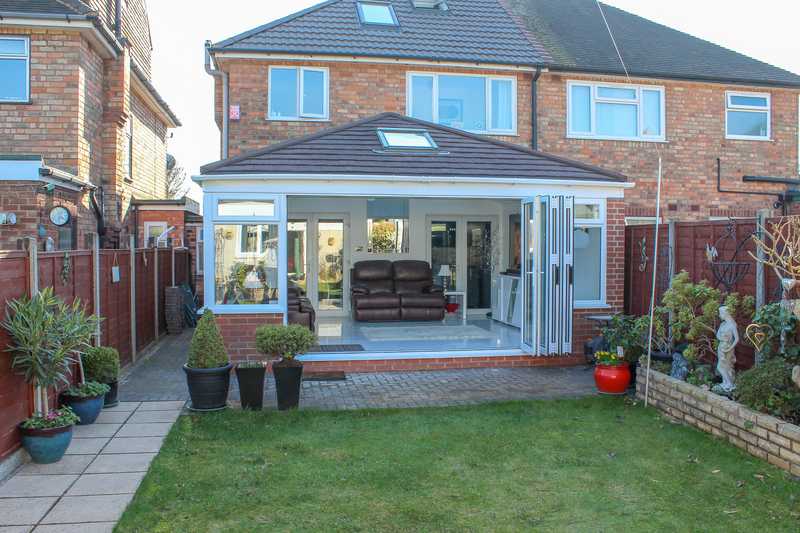 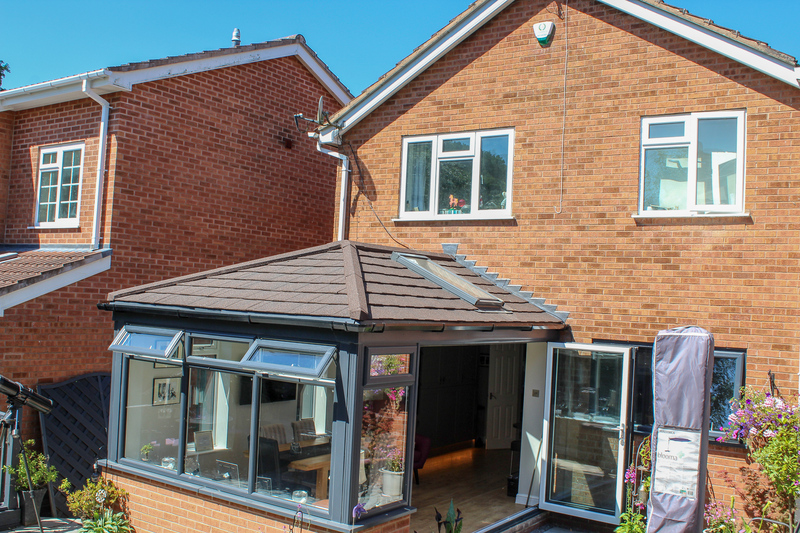 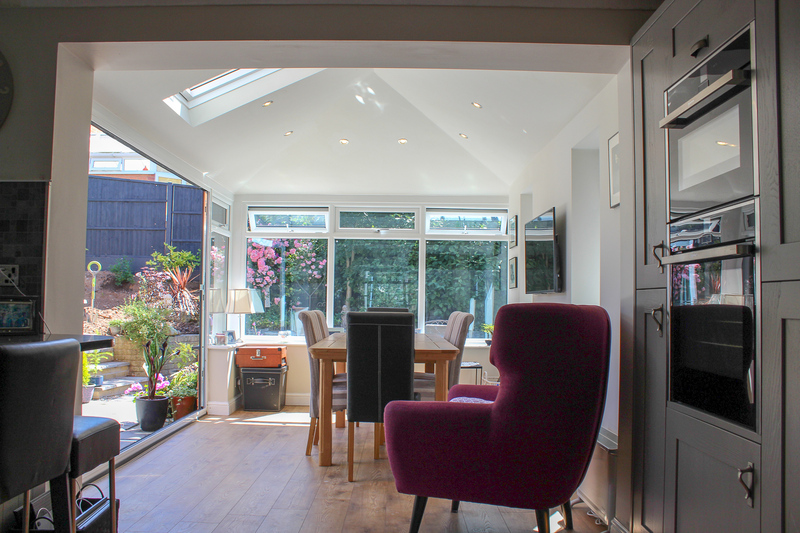 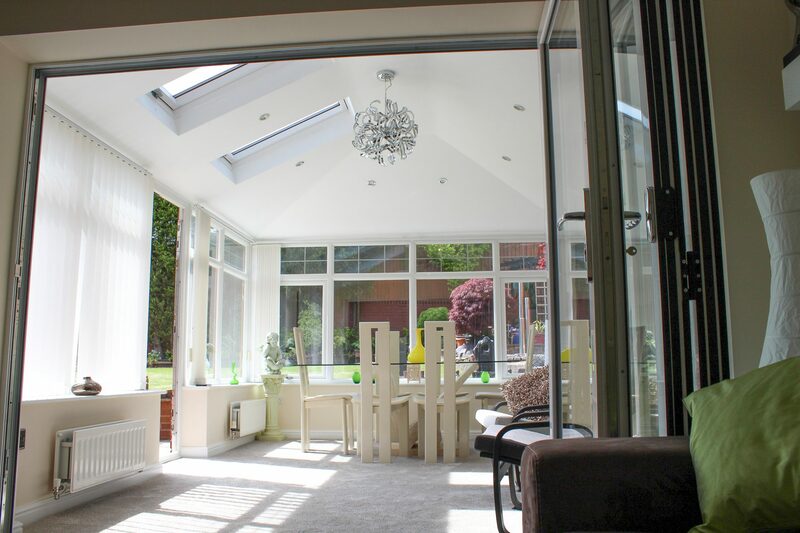 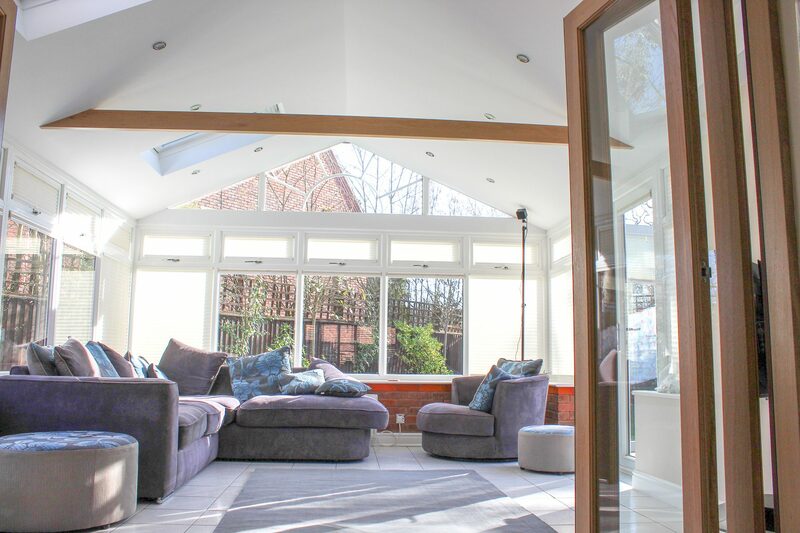 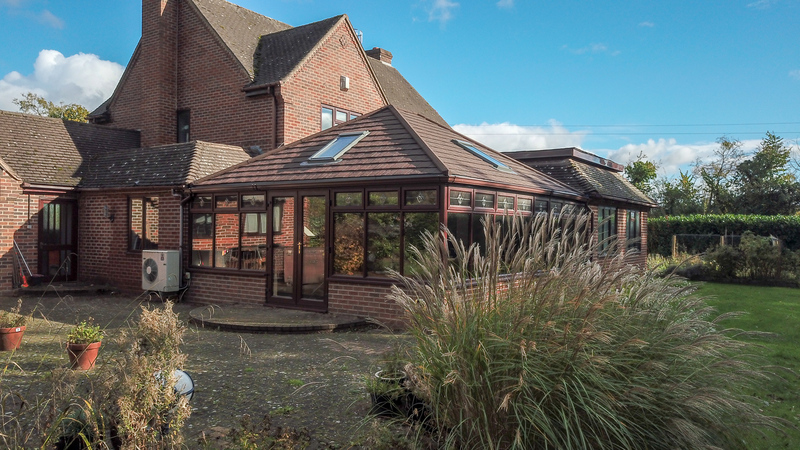 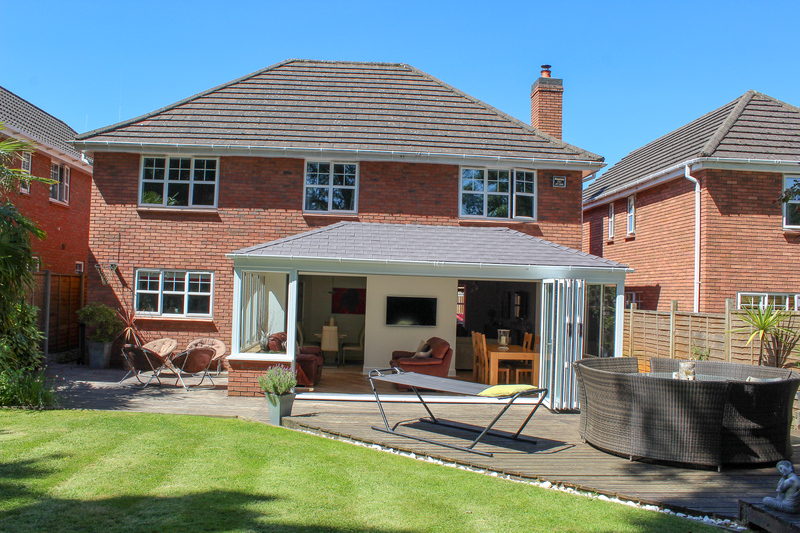 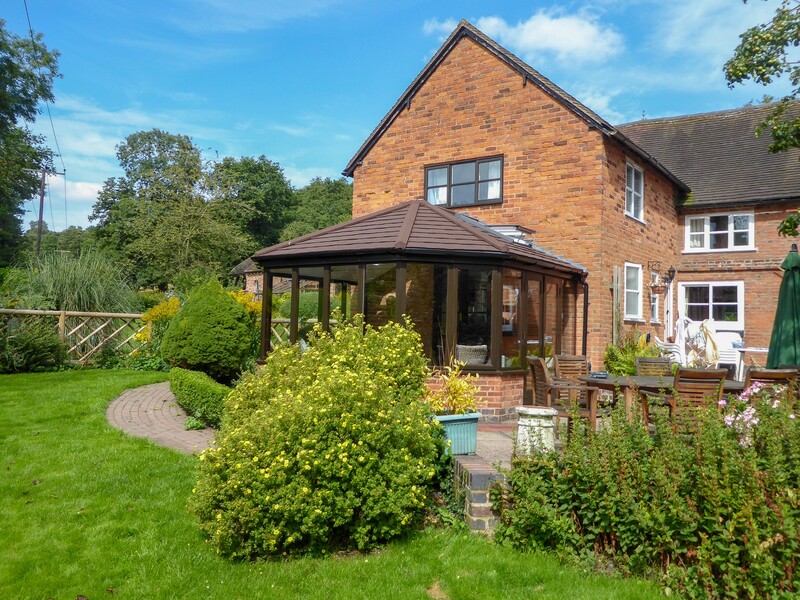 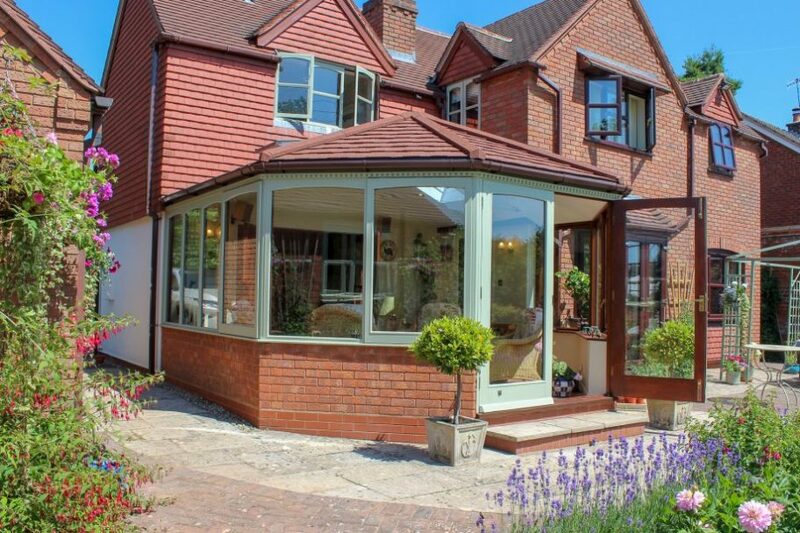 An Ensign replacement WarmDek tiled roof system is solid, thermally efficient with an outstandingly low Uvalue delivering astonishing results, keeping conservatories much cooler in the summer and so much warmer in the winter. 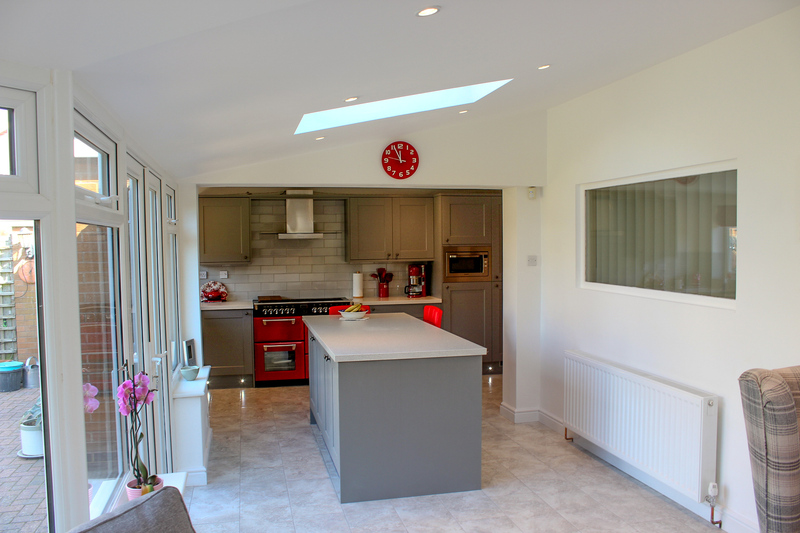 We will install LED spotlights and opening roof vents if needed and leave your home as spotless as it was when we arrive. 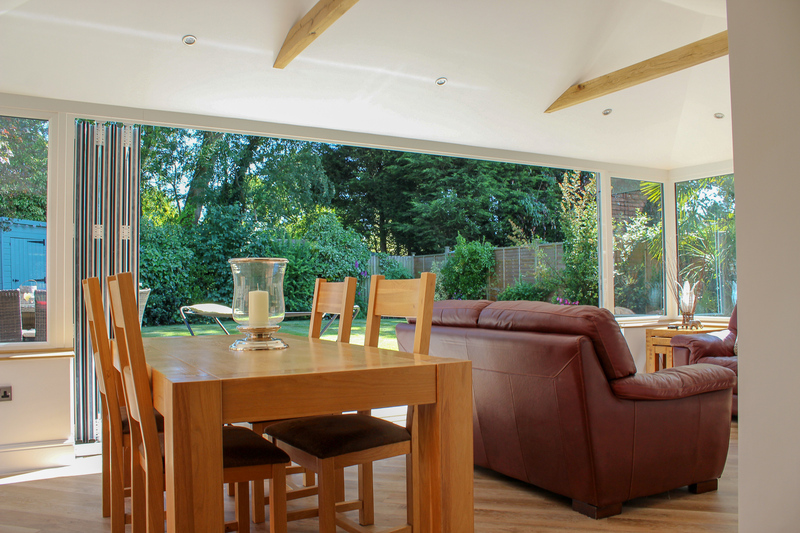 All our craftsmen work to a very high standard and are time served tradesmen. 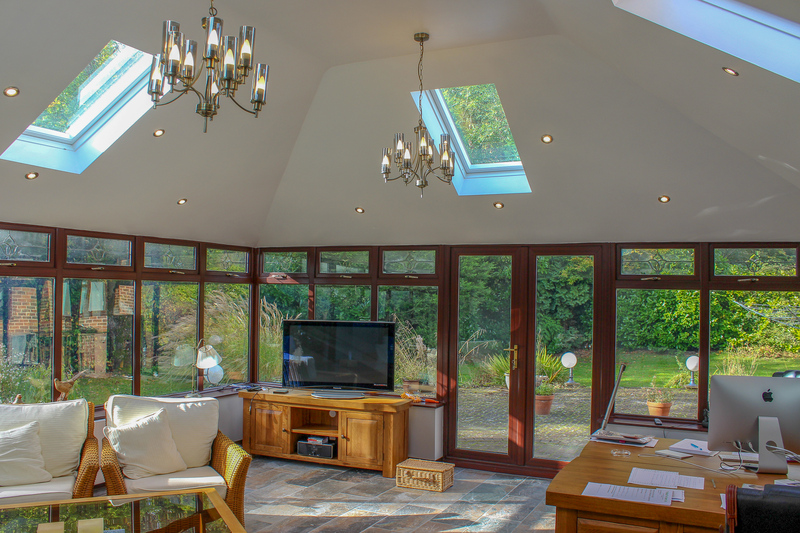 Reduces rain noise and glare, perfect for watching the TV! 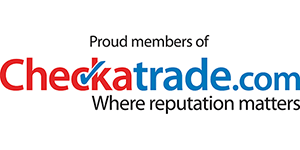 throughout the year. 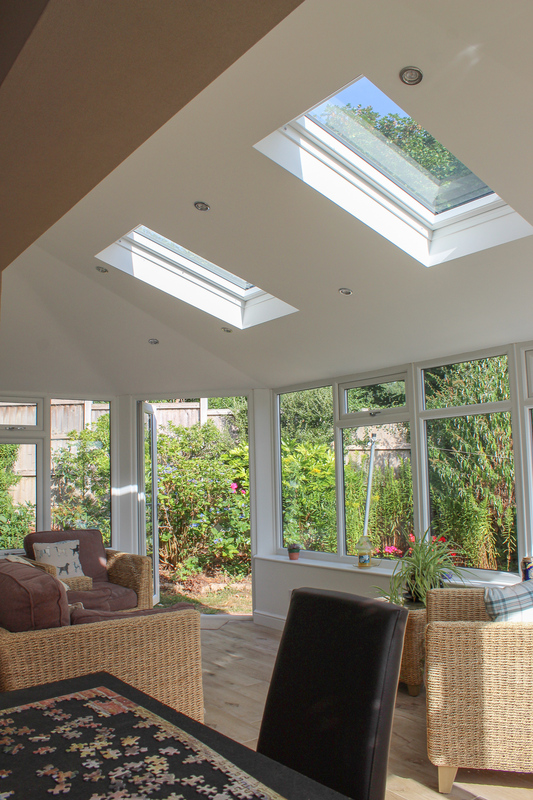 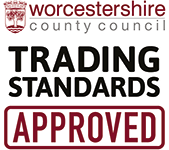 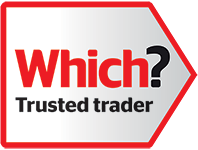 A comprehensive ten year guarantee is given with all installations. 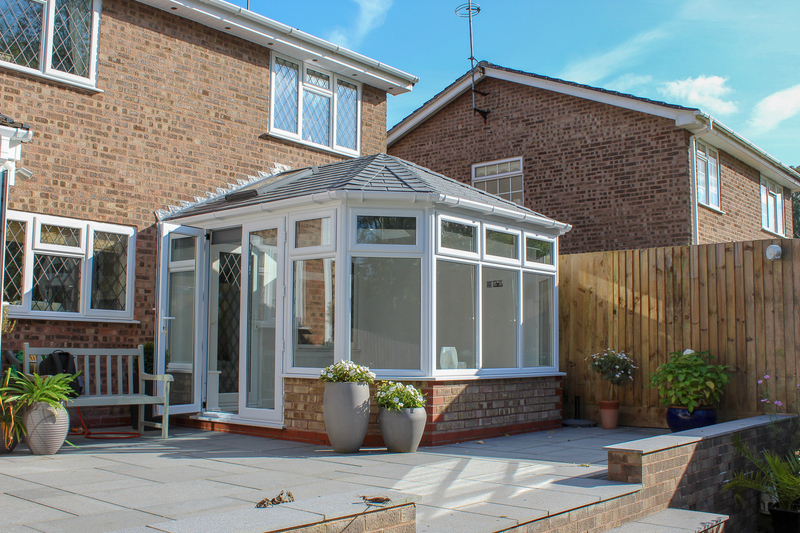 We use high quality Tapco Slate and Extralight Lightweight Tile Roofing Systems on our tiled conservatory roofing solutions. 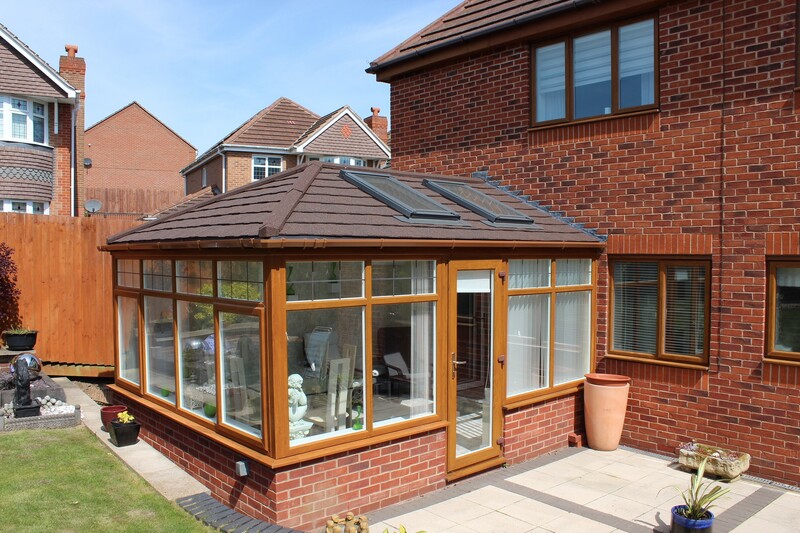 If you need help replacing your conservatory roof with tiles we can help.